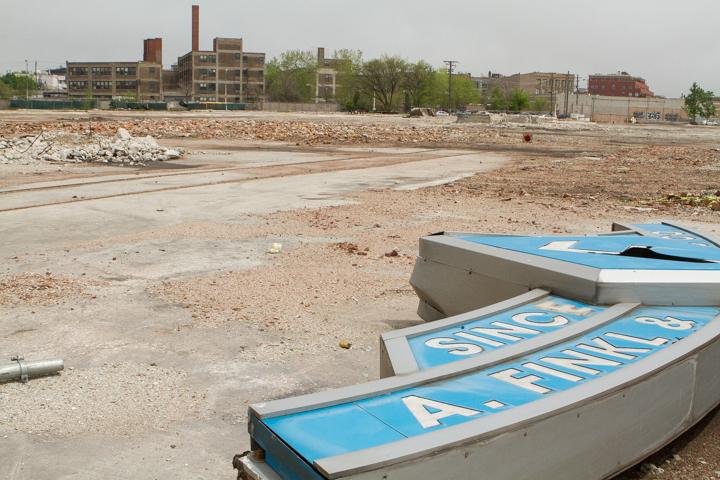 The famous A. Finkl & Sons sign lies at the site of the razed steel factory, which is part of the North Branch industrial corridor by the Chicago River. The Emanuel administration is poised to roll back a hugely successful 30-year strategy to retain and support high-paying industrial jobs. The administration is doing it because condo developers want to build high-rises along the Chicago River, where downtown views could bolster their profit margins. And in moving to eliminate planned manufacturing districts, the administration is ignoring its own research that showed the value of those districts and recommended they be strengthened. They’ve apparently gone so far as to remove from public view sections of a 2013 city study that favored PMDs. A city webpage titled “Repositioning Chicago’s Industrial Corridors” links to a pdf of the 2013 study ­– but pages 19 to 37 are inexplicably missing. According to the table of contents, those pages contained a competitive evaluation of Chicago’s PMDs and industrial corridors, along with recommendations for updating the zoning code. A city spokesperson didn’t respond to a request for clarification. People familiar with the original study say the excised evaluation found that the North Branch PMDs were performing at the highest level of any in the city, that they should be maintained and strengthened, and that they should be updated to support smaller scale artisanal manufacturing, tech office and last-mile distribution, among other uses. “It said [the PMDs] are doing great, they’re very successful, there’s no reason for wholesale changes,” but zoning rules could be tweaked to accommodate newer industries such as breweries, said Paul Sajovec, chief of staff to Ald. Scott Waguespack, who formerly represented much of the district. An analysis of employment trends in a section of the study that’s still available shows the North Branch corridor was one of the top areas of industrial job growth in the city from 2002 to 2011. While manufacturing employment in the corridor declined during that period, job growth in non-manufacturing industry and related sectors more than made up for it, with a net increase of 44 percent. Today there are 10,000 people from every ward employed in over 400 companies in the North Branch corridor, according to North Branch Works, which provides support for the industrial corridor; the occupancy rate is 96 percent. You have to ignore that data if you want to believe a city press release from last month announcing a “public review process” to “modernize restrictive zoning” in the city’s PMDs “to generate more jobs and investment” and support “the return and resurgence of manufacturing” in Chicago. Planned manufacturing districts were conceived in the Harold Washington administration, at a time when the city was bleeding manufacturing jobs, and implemented under Richard M. Daley. They are designed to protect high-paying jobs by discouraging piecemeal conversion of scarce industrial land and removing economic pressures from residential and commercial developers. Retail areas around the districts shelter homeowners from noise, smells and all-night activity. The city’s thirteen PMDs are smaller zoning districts generally located within larger industrial corridors, which are less-restrictive planning districts. The North Branch PMDs were the city’s first, created in the late 1980s, and they’ve been among the most successful, thanks to transportation connections to expressways and the Chicago River (still used by two cement-concrete plants), and proximity to downtown and to neighborhoods with scientists and other high-skilled workers needed in advanced manufacturing. So what’s changed? In addition to a resurgent housing market, with developers salivating over possible riverfront sites for high-rise luxury housing (despite the city’s declining population), there have been three personnel shifts. First, Daley was replaced by Emanuel, who appears to understand only the needs of financiers and developers. 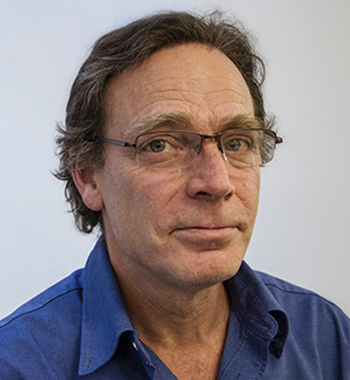 Second, longtime city Planning and Development Commissioner Andrew Mooney, who was committed to PMDs, retired and was replaced by David Reifman, a zoning attorney who represented the developers who want to eliminate PMDs. Third, the 2012 remap which redrew the 2nd ward to eliminate Ald. Bob Fioretti put much of the North Branch corridor in the new ward. The new alderman, Brian Hopkins, minces no words in discussing his intention of getting rid of PMD zoning – and apparently eliminating all the current employers in the area: he told DNAinfo he envisions the Clybourn corridor as a mix of residential, retail and office space. I suppose someone has already told the new alderman that he’s not supposed to reveal the outcome of “public reviews” before they’ve even started.